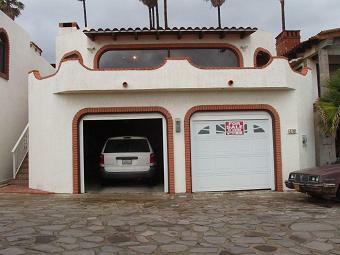 Rent our 3 bedroom, 2 bath Las Gaviotas home. 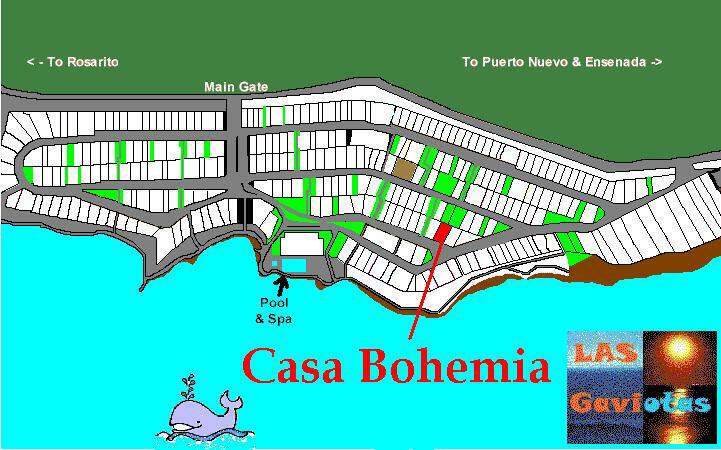 Casa Bohemia is located on the South side of the complex in front of the surf break and one row behind the ocean front. 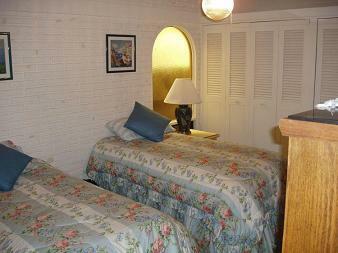 It is a short two minute walk to the shared pool or beach. See our map. 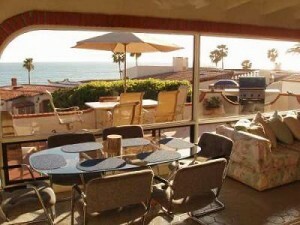 Looking out from the patio deck you can see the whitewater of the surfbreak and enjoy awesome sunsets. 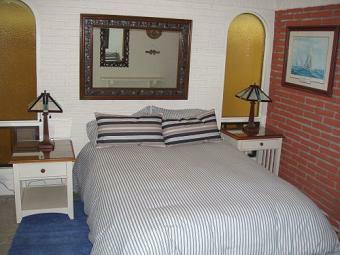 The master bedroom has a Cal King bed, “The Captains Room” has a Queen bed, and the third has two twin beds. It has two full bathrooms, a full kitchen and secure two car garage. 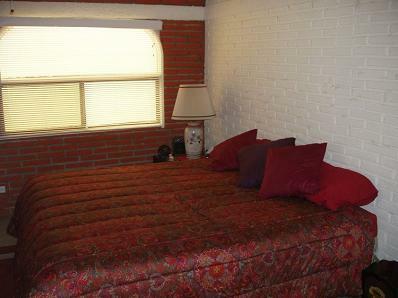 Bed linens and bath towels are provided. Please bring your own beach towels. 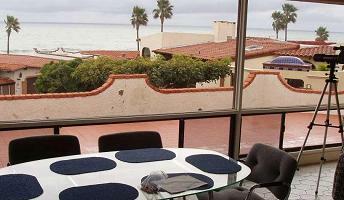 Indulge yourself with the Las Gaviotas experience. Relax with the mild year round climate, fresh ocean breezes, and warm sunshine. You may enjoy ocean front strolls, a peaceful ocean swim, or the nightlife of Puerto Nuevo Lobster Village and nearby Rosarito Beach. 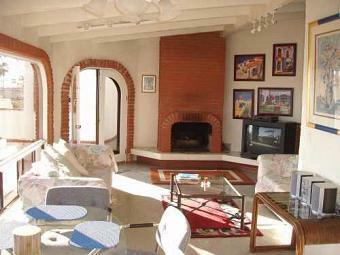 Two excellent golf courses (Baja Mar and the Marriott Real Del Mar) are nearby. Yes, we have free wireless internet! The amenities in Las Gaviotas include an Olympic-size heated swimming pool and Jacuzzi (overlooking the ocean), beach volleyball, tennis court, shuffleboard, beachfront recreational complex and coin-operated washer and dryers. Children will love the sandy beach and tide pools. A slate patio with incredible views of the surf and sunset surrounds the large heated pool. 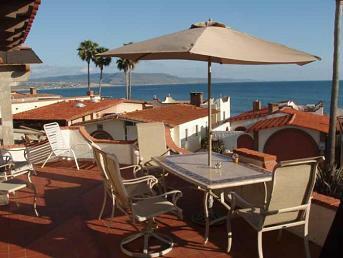 A walkway stretches the length of the community from which you have a captivating view of the coastline. 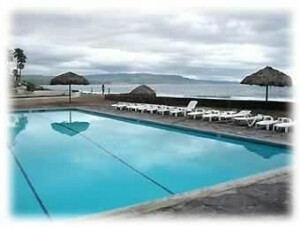 This is a renowned surfing location with both a right and left reef breaks great for all skill levels. 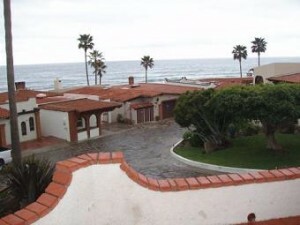 The town of Rosarito is 10 minutes north where you will find lots of shopping, antiques, art galleries, and excellent restaurants. Horses are also available for rent there. Fox Studios with Museum and Tours is also close by. If property is available 2 weeks in advance a shorter stay is allowed. A one-time cleaning fee of $50 will be charged. 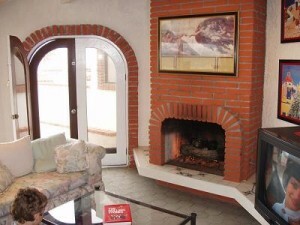 Casa Bohemia is a non-smoking home. 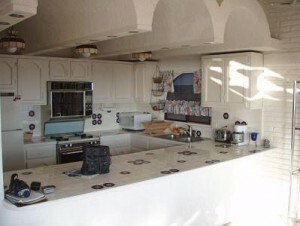 If you prefer, you can email bohemia66blake@yahoo.com or call 310-940-9486 or 310-545-3888. Your dates not available? Check out our other 3-bedroom Las Gaviotas home! 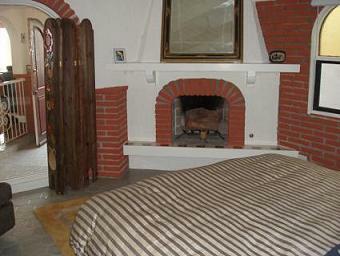 The Master bedroom has a quilted bed with private fireplace and bath.